Description: As the title suggests, the APL5000 prize pool will be $5000 in cash and prizes which includes a $1500 APL MILLIONS ticket for 1st !!! HOW DO I QUALIFY? Quite simple! 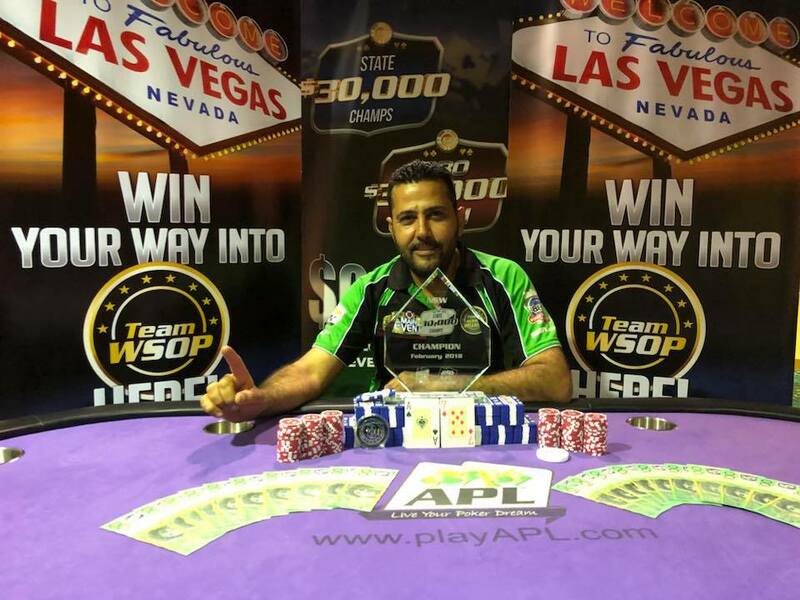 Make any final table during Jan-Mar and you will receive entry into the APL5000. The more final tables you make the more chips you will have on the day! 1-10 Final Tables : 15K 11-20 Final Tables : 20K 21+ Final Tables : 25K WHAT IF I DON'T QUALIFY? You will be permitted to buy-in on the day for $33 for a starting stack of 15K !! THERE ARE NO ADD-ONS & NO REBUYS ON THE DAY Prize pool: OVER $5000 IN CASH & PRIZES : 1st Place - $1500 APL MILLIONS ticket + $500 Cash 2nd Place - $1000 Cash 3rd Place - $600 Cash 4th Place - $400 Cash 5th Place - $300 Cash 6th Place - $200 Cash 7th Place - $200 Cash 8th Place - $100 Cash + $55 Deepstack Ticket 9th Place - $100 Cash + $55 Deepstack Ticket I look forward to seeing you all at our nightly events to earn your seat into the APL5000! Who will be our next APL5000 Regional Final Champion? Who will have bragging rights of being the ‘best-of-the-best’ in the region? It could be you!